Pro Arte Centre’s students performed in over 2000 costumes last year. A huge thank you to our fantastic wardrobe & costume volunteers for the endless hours they have spent this summer sorting, checking, washing and itemizing all these 2000 odd costumes. Pro Arte has, since its inception in 2003, been extremely fortunate to have had many talented volunteers and accomplished sewers aid with the establishment of quite a magnificent costume library. 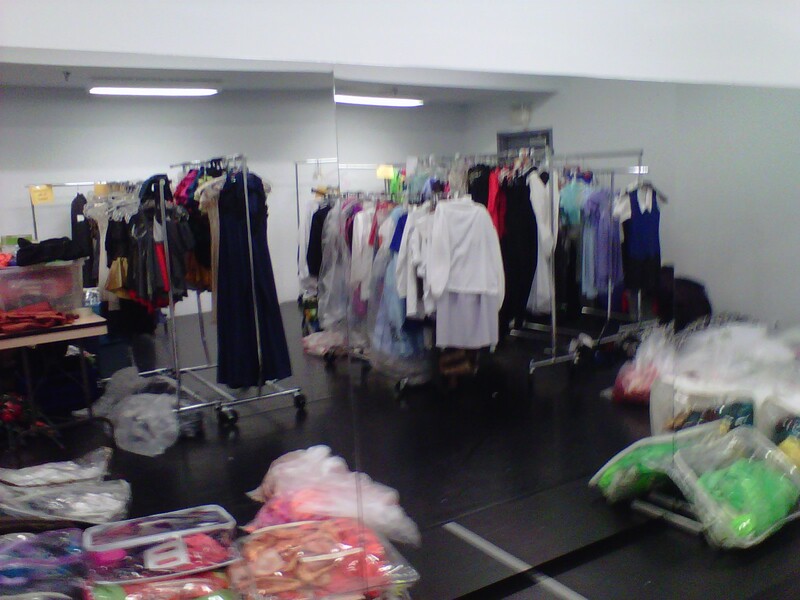 Pro Arte costumes are rented out to families at a fraction of the cost and with minimal hassle involved for parents. We are also grateful for all the donations of fabric, tutus, individual costumes and other items that have aided in the establishment of our impressive wardrobe. “Merci” to of all our wonderful “Pro Arte Costumers” past and present! It is an amazing privilege to be able to volunteer for our outstanding dancers. Wishes to you, our talented dancers, for another profitable and learning year. i meant to say, they did an amazing job and I know that many of the girls are very grateful for all of their hard work!